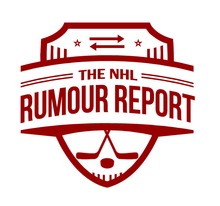 Jonathan Drouin has been bumped down from 90% to 40% on the Trade Rumour Board. In fact, 40% is probably generous. 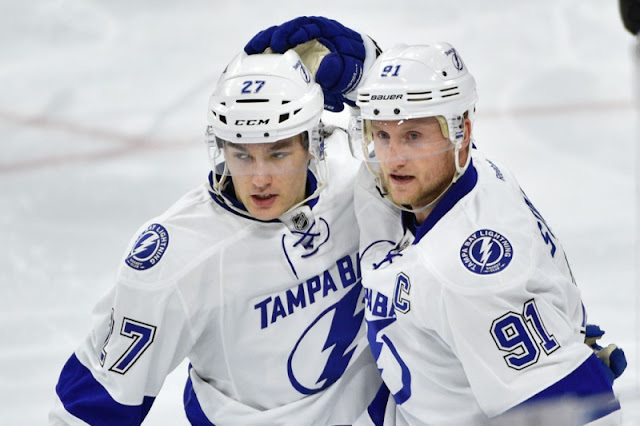 There's a growing belief that the relationship between head coach Jon Cooper and Drouin, as well as Yzerman and Drouin's agent Adam Walsh, have vastly improved over the last few months. Drouin is getting the ice time he wants, so there's reason to believe he will stay put in Tampa. As a result, this increases the odds of the Lightning letting Steven Stamkos walk to free agency. - It sounds like the Calgary Flames are wrapping their coaching hunt and are close to making a decision, barring one or two last interviews of coaches still in the playoffs. The Flames and Anaheim Ducks are the only two teams without head coaches in place, and have expressed interest in a few of the same candidates: Randy Carlyle, Mike Yeo, Travis Green and others. Expect both teams to have a coach in place ahead the NHL draft in late June, if not much sooner. - There's been a sense for a while that the Boston Bruins would be going after a defenseman this summer. GM Don Sweeney coming out and saying his team will look at add more mobility on the blueline just stokes that fire. Names such as Kevin Shattenkirk of the Blues or Rangers pending UFA Keith Yandle have been bandied about as possibilities, although the long term salary implications of such a move may force Sweeney to aim for more modest targets.